A two day system design and optimization class in Irving Texas on August 15 / 16, 2018 with Mauricio Ramirez for $100! 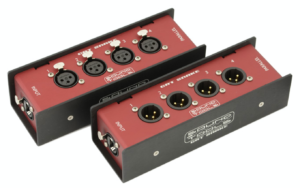 “Turn any sound system into a well-balanced foundation for your mixes, quickly and easily. 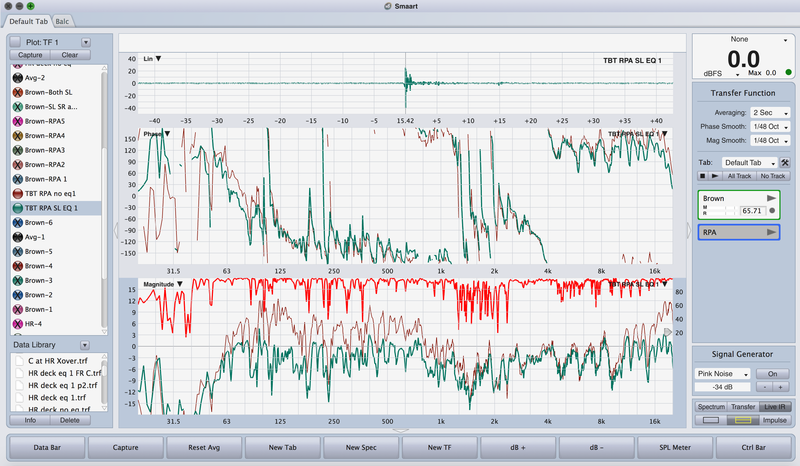 The TRACT plugin integrates with Smaart®, the industry-standard audio analysis software from Rational Acoustics, to auto-correct EQ issues and time-align any sound system. Just as a painter needs a clean canvas to begin painting, mixers need a well-balanced sound system for mixing. 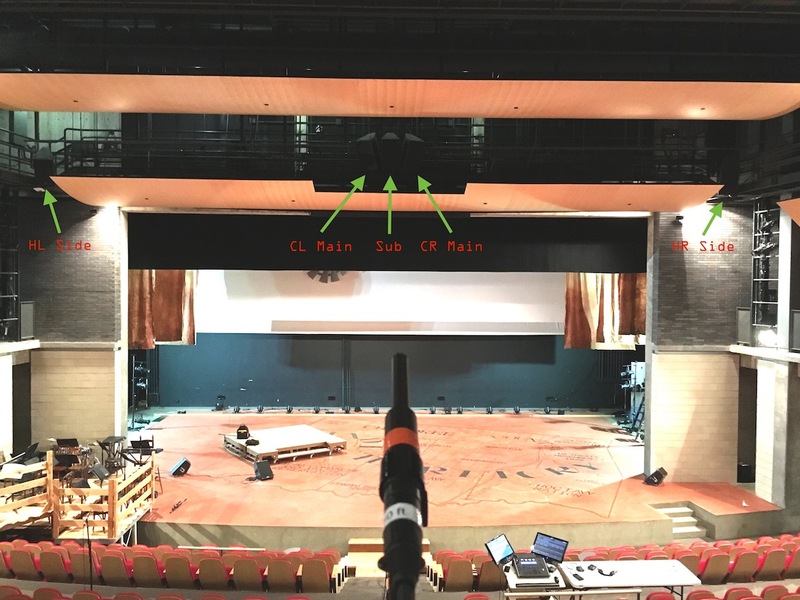 Since every sound system is different and behaves differently in each environment, we need to calibrate the system to smooth out its performance; in a live setting, this is known as tuning the PA. If not tuned, the system’s frequency response will behave erratically: music may sound different than we’re used to, and our mixing adjustments will not respond as we expect. Worse, if a system is not time-aligned, there may be phase cancellation affecting valuable low-frequency impact. In many cases, access to the system processors is limited and there’s limited time before sound check. At these times especially, TRACT will save the day. 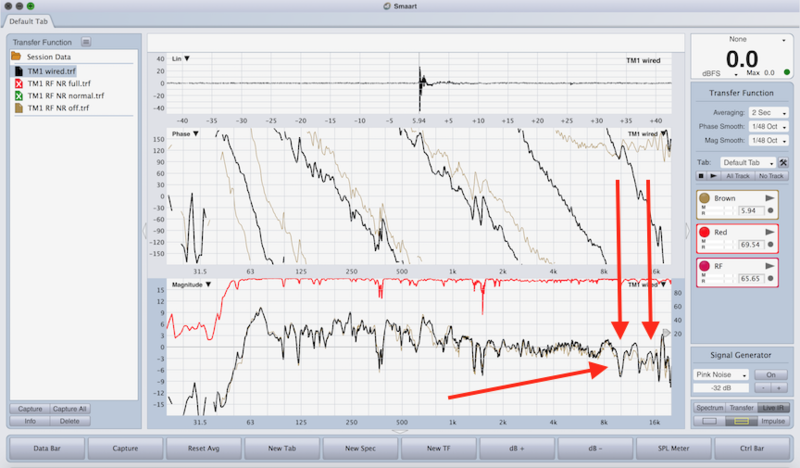 TRACT calculates a corrective FIR EQ curve and time alignment corrections using data from Smaart v8 or Di v2. Quickly take and merge up to 8 measurement snapshots of your system, and select a reference as the basis for your EQ corrections. Four common reference curves are included, or create and save your own reference presets. 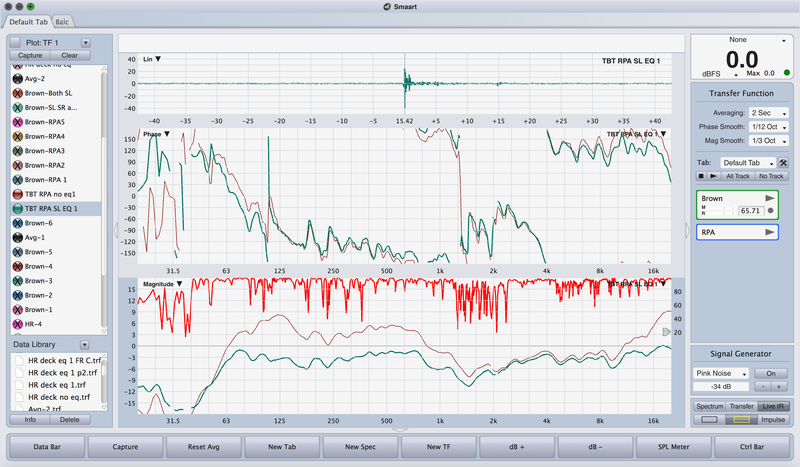 Once the FIR EQ is calculated, you can manipulate it by changing the reference curve, limiting its frequency and amplitude ranges, or by supplementing it with up to 8 bands of IIR EQ filters. IIR filter shapes include: Bell, Low/High Shelves, Flat-Tops, Butterworth and Linkwitz-Riley curves, a Tilt EQ with a variable frequency pivot point, and an All-Pass filter. The plugin includes a minimal-phase FIR component, which works at very low latency and with low phase distortion, as well as a linear-phase FIR component. You can use it in a live setting with any mixing console (via Waves MultiRack), with the eMotion LV1 mixer, or you can use it within any major DAW. This Jordan Peterson video isn’t specifically related to audio measurements but it’s a pretty good explanation of what I have been doing as I work toward mastering the art and science of “sound systems – design and optimization”. The essential message is to get started (even if you don’t know what you’re doing) and pursue your interest! Failure is par for the course. When I was starting my pro audio career in the late 1980’s there was little in the way of cable testers on the market. My first cable tester was a Whirlwind Tester. At the time it seemed really useful but it was pretty limited when compared to what is available now. 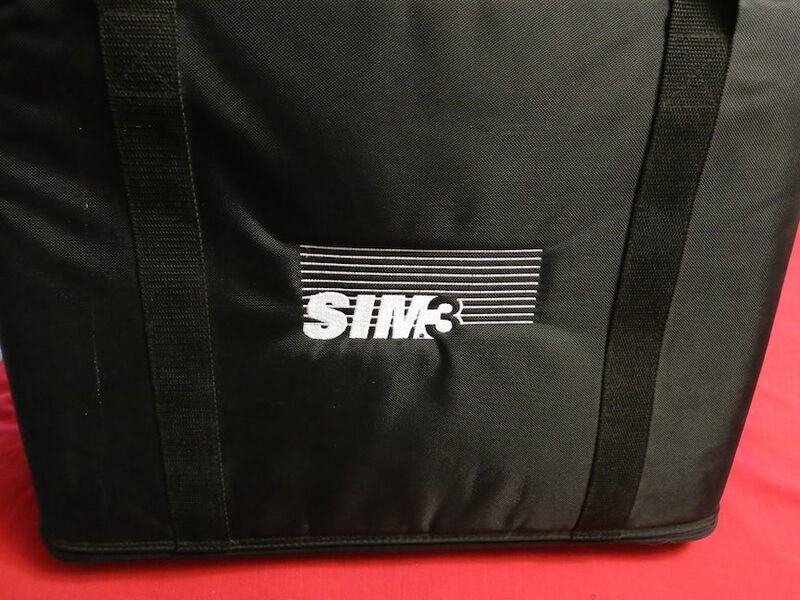 Here is a list of links to some of the cable testers on the market. You’ll notice that some of the designs appear to be exactly the same cable tester with a different model #. 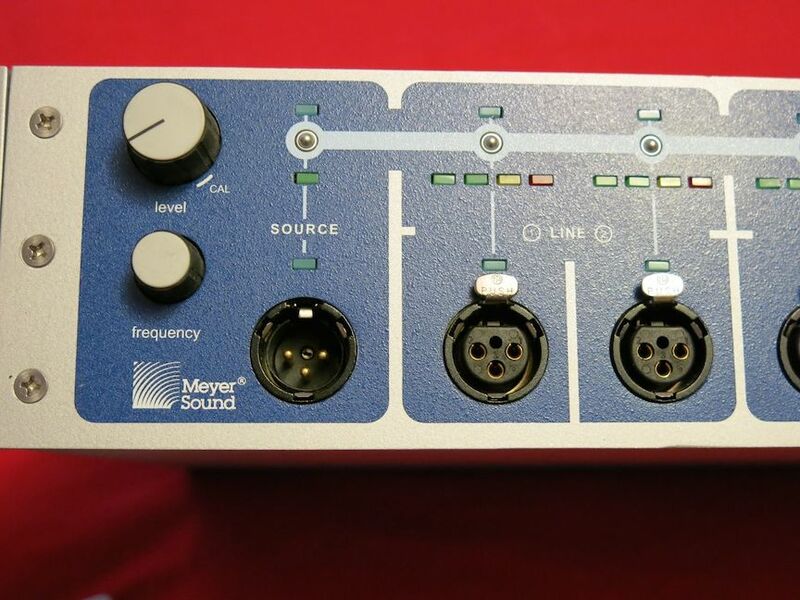 You also note that some of these testers can test a large variety of cables (not just audio). If there are others that you use and would recommend, feel free to contact me and I’ll add them. 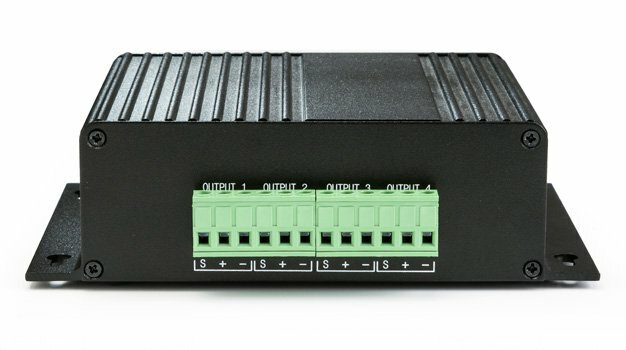 Recently the market has been flooded with CAT5 shielded snake options based around the Neutrik Ethercon series of connectors which is great for the pro audio industry because it offers us another option for getting multiple channels of audio from point A to B. 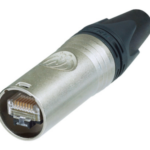 Below are links to some CAT5 shielded snake options by Sound Tools (Rat Sound), Radial Engineering, Whirlwind & ETS. Here is a wiring diagram for the Sound Tools platform. Here is the wiring diagram for the Whirlwind platform. 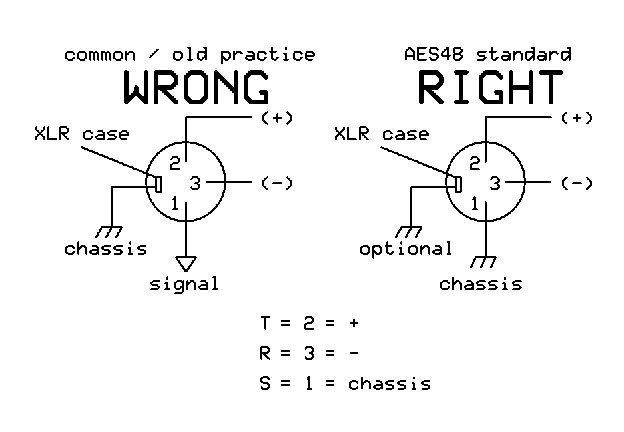 Note that the two platforms do NOT use the same pin out which shouldn’t matter as long as you don’t mix and match devices from different manufacturers. Each of these manufacturers state that their CAT based products will support some or all of the following purposes. (analog audio / digital audio / comm / DMX). It could be that technically they’re all fully capable of supporting each one but it could be that you wouldn’t want to try to combine them on the same CAT5 snake. 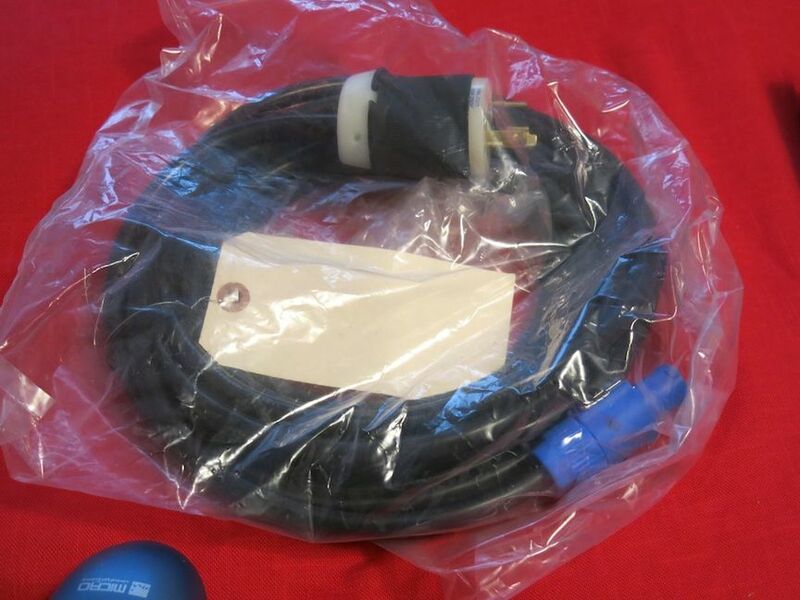 For example, unless I knew that it wouldn’t cause damage, I wouldn’t try to use a single CAT5 snake for analog audio, digital audio, comm and DMX. It might work but it might also let the magic smoke of one or more devices up or down stream. Each platform has it’s own features related to terminations that might make you choose one over the other. 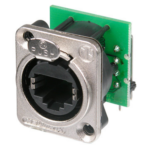 I especially like the options that provide both in and out ethercon / RJ45 connections on the same box so you can daisy chain one box to the next and the next…The Radial Catapult series offers break out boxes with and without transformer isolation. The Whirlwind boxes can be rack mounted using a plate. I will be choosing one of these platforms to build my next measurement cable package which will reduce the amount of standard audio snakes I have to transport and also the number of long XLR cables I use. Dave Rat has done some interesting videos related to using CAT cable for AES versus XLR cable and AES specific cable. Of special interest to me is the Rat Sound SuperCAT series of CAT5e cable specifically designed for pro audio purposes. 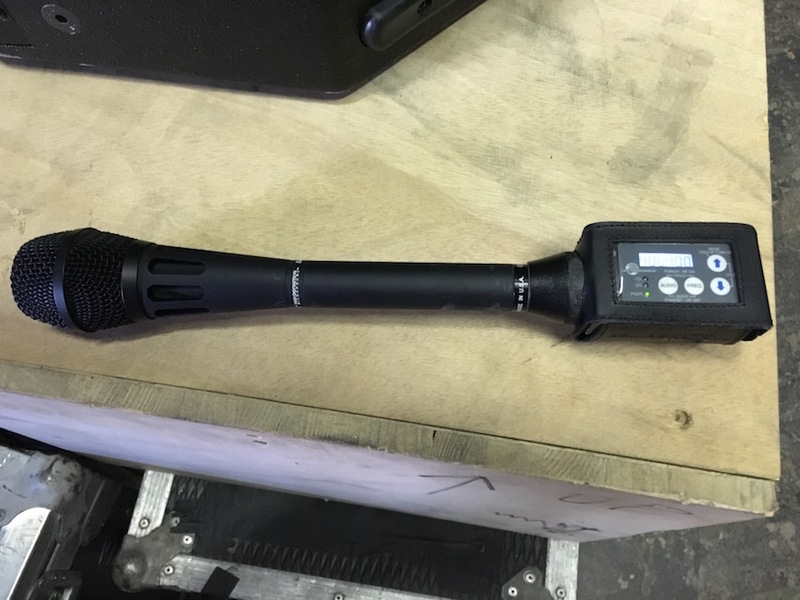 While on a recent job using a Lectrosonics Venue receiver (narrow band) and some LT and HHa transmitters (same thing could happen with HMa, LMb, SSM transmitters) I came across a situation that stumped me for a while. I performed an RF scan using the receiver and then tuned the transmitters to the suggested frequencies. Afterwards, I couldn’t get the receiver to sync up with some of the transmitters even though I had tuned the transmitters to the correct frequencies. What would explain this? 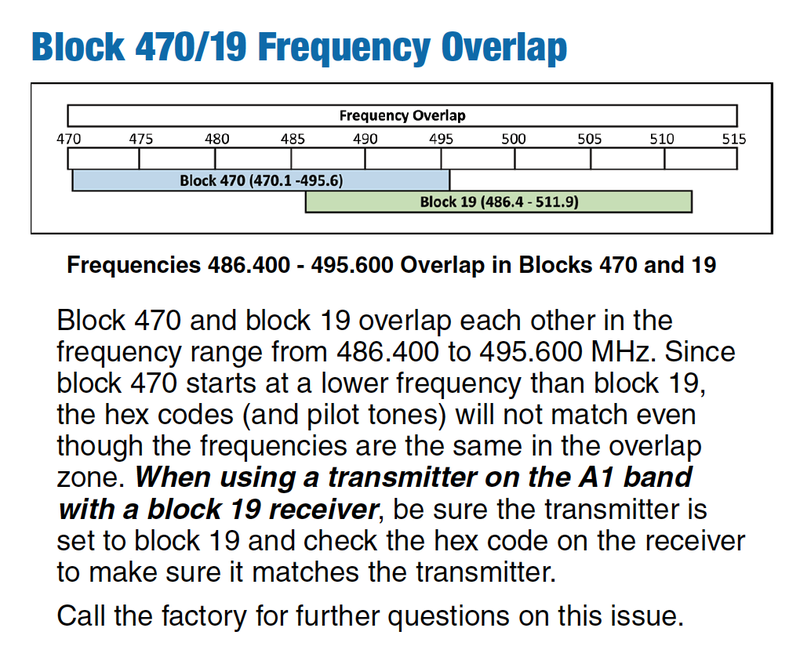 Notice that this is a very specific situation where you need the combination of a narrow band device (470 or 19 block) with a wideband device in the A1 band (covers 470 / 19 / 20) to discover it. Even with the right (or wrong) combination of gear, you may avoid this issue randomly but at ssome day you might get caught. I did and so did one of my fellow engineers. This post isn’t directly related to measurement per se but you could run into the issue described below if you are using Lectrosonics gear for measurement purposes. Here is a PDF chart showing how Lectrosonics frequency blocks are assigned. Note how Block 470 and Block 19 overlap. I just got back from a second trip out of state to help finish up a new sound system installation at a zoo. The sound system consists of multiple JBL CBT 100LA speakers. For aesthetic reasons, the speakers are mounted inside what the architect calls pods and are blocked by decorative metalwork. Another interesting decision is using the center of each pod as a drain for water that collects on each pod’s roof. 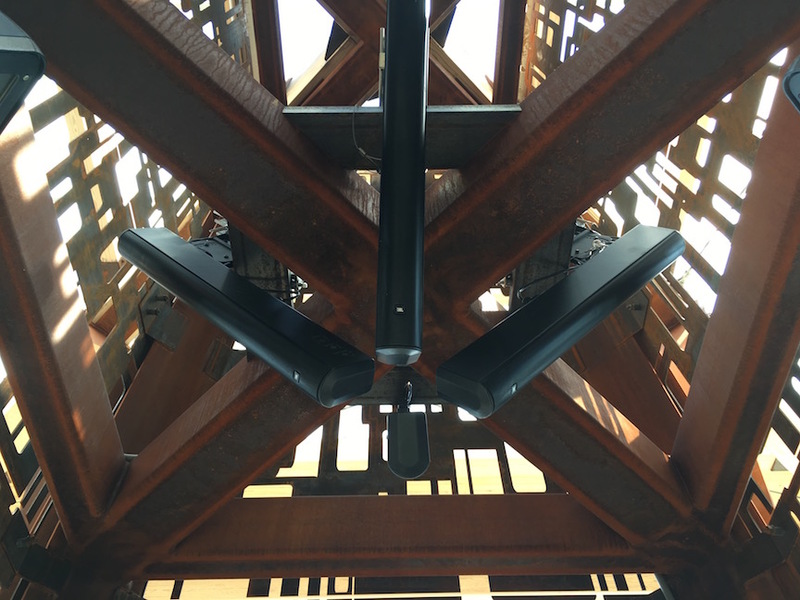 These speakers are literally located inside the equivalent of a rain gutter. 5- Ingress of dust is not entirely prevented, but it must not enter in sufficient quantity to interfere with the satisfactory operation of the equipment. 5 – Water projected by a nozzle (6.3 mm) against enclosure from any direction shall have no harmful effects. Being rated for outdoor use means that the cabinet / drivers shouldn’t fail when exposed to the weather but does that mean that the speaker’s frequency response is unaffected when wet? Fortunately, I was able to measured before and after the storm. The BROWN trace is the DRY response. The BLUE trace is the WET response. Obviously there is a noticeable reduction in high frequencies when the speaker grills are filled with water. Without knowing this, I might mistakenly boost the missing high frequencies only to have too much once the grills dry out again. The moral of this story is that we should expect the HF response of our outdoor speakers to be affected by water if there are grills &/or foam involved. In this case, the intelligibility of human speech is mostly lost while the speaker grills are soaked. Solution? 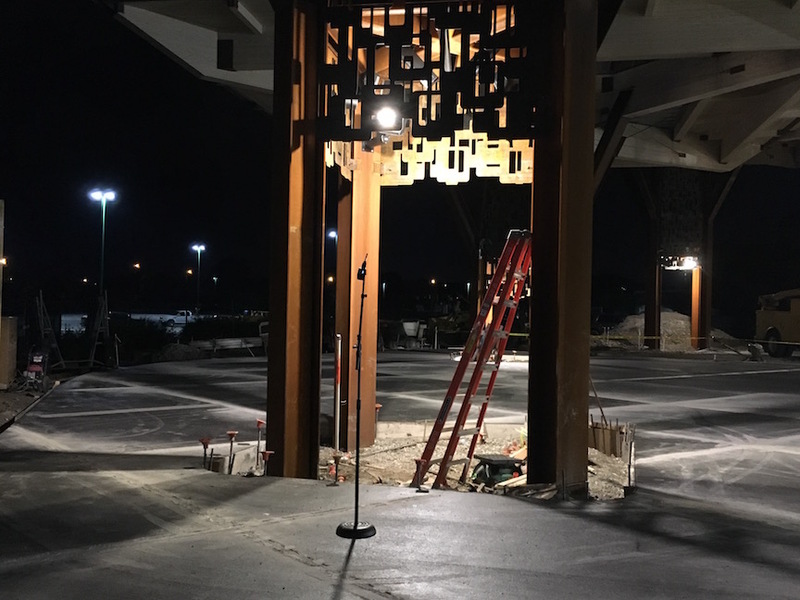 One option is to relocate the speakers outside of the pods. I doubt the architect is going to appreciate this suggestion. Another option may be to simply remove the grills which shouldn’t be a big deal. Yet another option may be to clear the water using some sort of audio tone or noise. I will be doing some experimentation to see how successful we might be in using pink noise or low frequency sweeps for “water abatement”. If it works, I’ll do another post with those details. While not directed related to audio measurements, a Pin 1 Problem is something worth mentioning every once in a while since it still plagues the professional audio industry and many still don’t know about it but suffer the consequences. I intend to test all of my gear for Pin 1 Problems soon and share my discoveries but before I go to the trouble of building a Hummer, I thought I would verify that it is still the appropriate device to test modern equipment for a pin 1 problem. I’ll report back once I’ve heard back from my friend and expert on the subject, Bill Whitlock of Jensen Transformers. 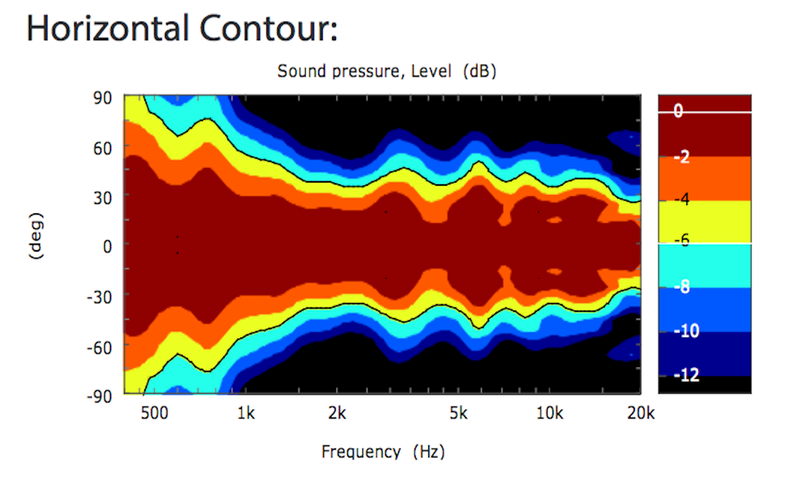 While RF (radio frequencies) are outside the realm of the audio spectrum we are dealing with for audio measurement purposes (roughly 20Hz to 20kHz), audio frequencies are low frequency cousins to the RF frequencies (mHz to gHz) used to transport audio from point A to B without wires. 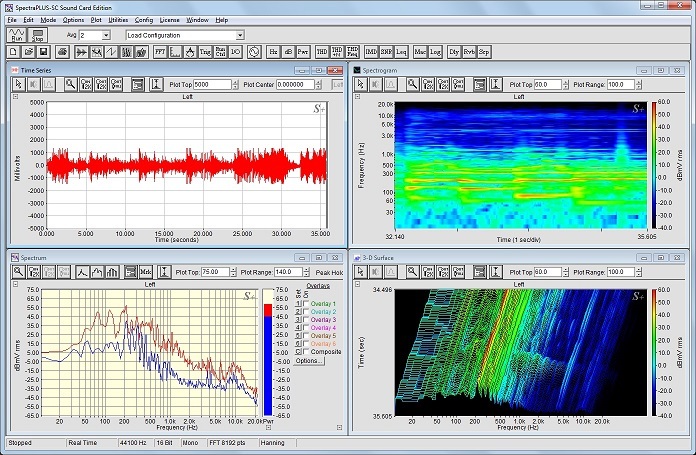 Just as we can use measurement mics, audio interfaces and software to analyze our sound systems, we can measure an RF environment with RF scanning hardware and analyze the incoming data with RF coordination software in order to optimize an RF system and choose the best frequencies available in a given location for our needs. 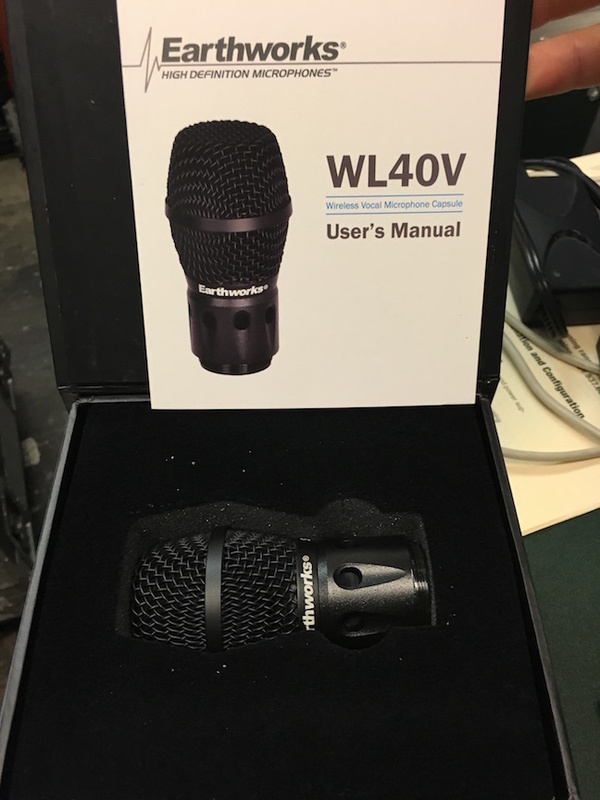 Like it or not, as audio professionals, RF is and will continue to be a huge part of live audio production work, whether it be wireless vocal mics, wireless instruments or in ear monitors (IEMs). There really is no excuse for being RF illiterate. Especially if we intend to rely on RF gear for measurement purposes. Some good news! 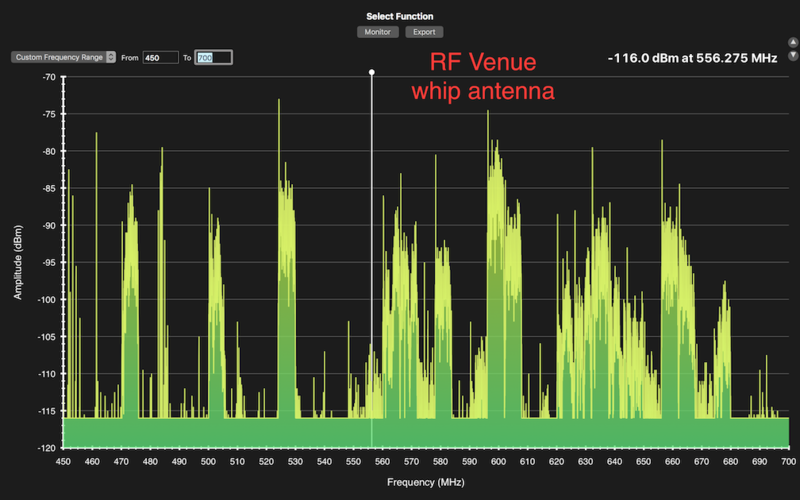 Understanding RF measurement, coordination & optimization is a simple pursuit when compared to sound system design and optimization. RF scanning (measurement) hardware and RF coordination software is readily available, inexpensive and fairly straight forward to use. 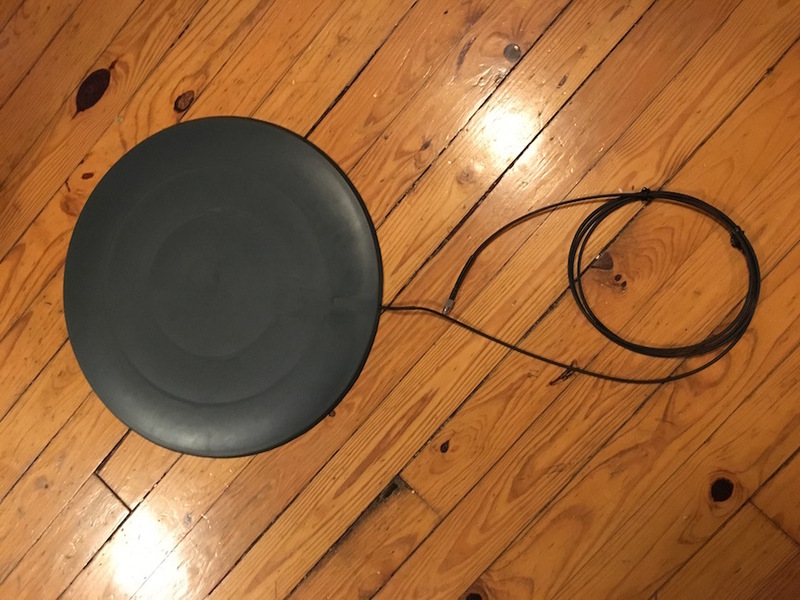 I intend to provide the necessary details for anyone who is interested to be able to assemble an RF “measurement rig” and learn how to use it. On a personal note, the more RF based audio measurement work I do, the more I realize how these two “art forms” (audio measurement and RF measurement) run parallel to each other and compliment each other. This article by Merlijn on delay speakers is a great explanation for when and why we need them. 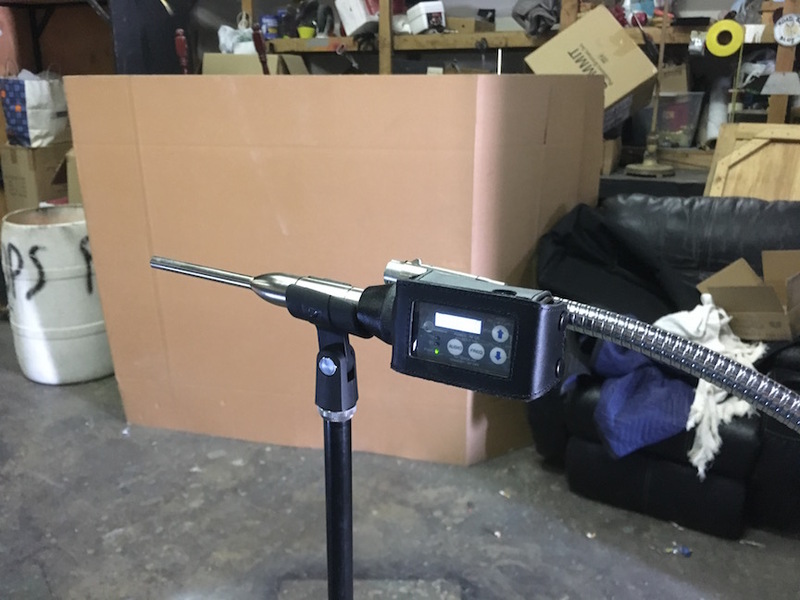 There are only a few wireless measurement platforms on the market that can be used right out of the box. They all rely on a digitized signal to avoid a compander circuit (rendering most RF systems useless for measurement purposes). Even with a digital RF system useful for wireless measurement purposes, each system I am aware of exhibits various frequency and phase related artifacts. 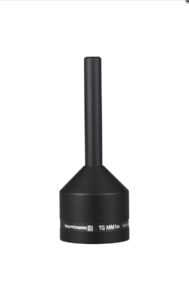 Beyerdynamic recently began to offer a measurement capsule compatible with their existing TG1000 digital wireless rig. Below is a review of the system by Fedele de Marco including measurement results. A few notes regarding using Lectrosonics digital hybrid gear for measurement purposes.The system has an inherent latency of approximately 3 ms compared with a cable. Just something to be aware of. The next image shows that with the noise reduction setting turned off, the response of the RF system (ignoring slight mic position differences) matches the response of the same mic with an XLR cable. The HM & HMa plugon transmitters have an adjustable high pass filter labeled as “LF” that should be set to 35Hz (the lowest setting available). Other setting include 50Hz, 70Hz & 100Hz which would be useful when using the plugon transmitter with a handheld cardioid mic. 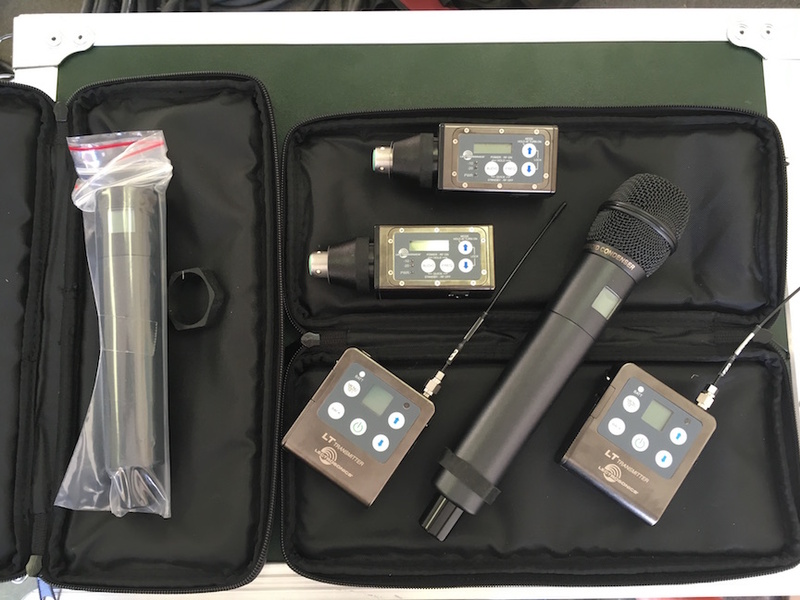 I have been involved with various measurement projects that took advantage of other people’s Lectrosonics RF gear and while I was very impressed, I wasn’t able to afford the gear until now. 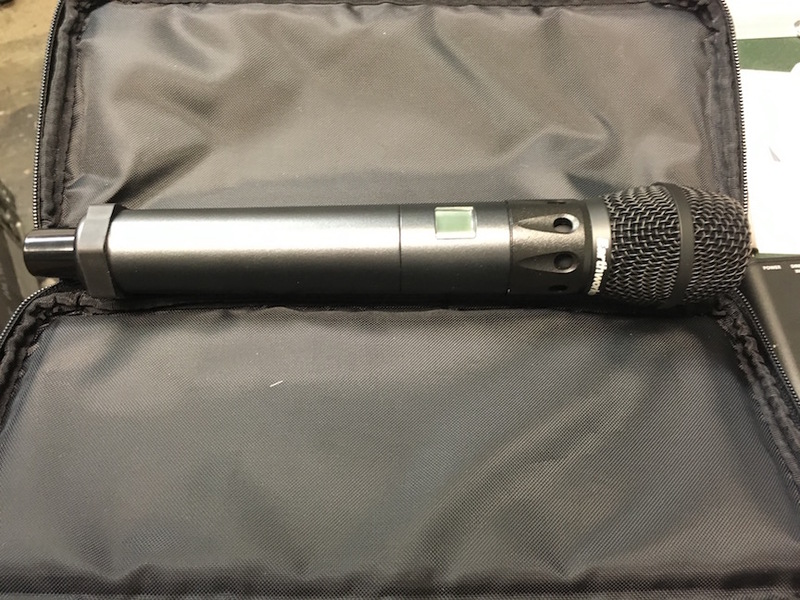 Having used the single channel HMa TX / R400a RX kit on a recent travel gig, I can undoubtedly state that having the ability to measure without dragging mic cables around the venue and risking mic damage due to a snagged cable is a game changer. The cost of the gear itself, the cost of batteries and having to manage batteries during each measurement process are considerations. On the flip side of the coin, the amount of possible time savings is no trivial matter. T=M (time = money) & there is never enough time to measure. Wireless measurement gear is an investment in your end result. 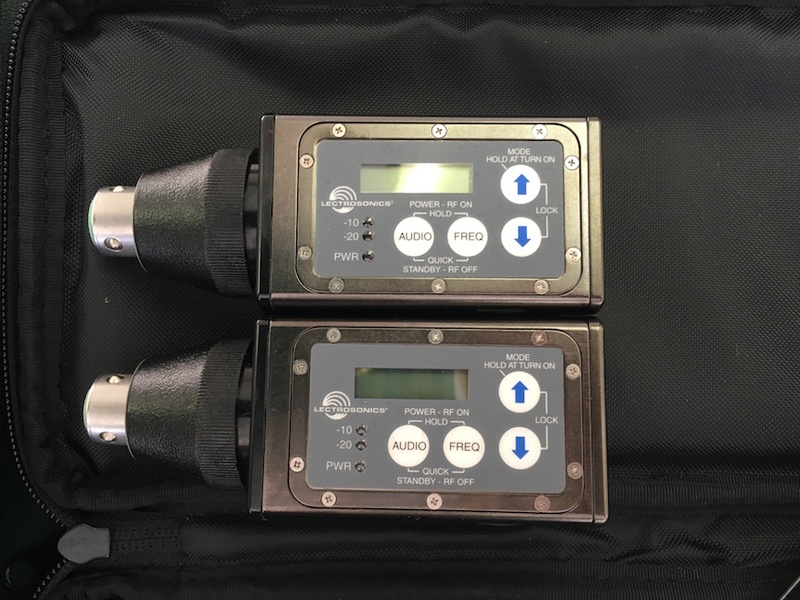 I also purchased (2) Lectrosonics handheld transmitters and (2) Lectrosonics beltpack transmitters so that once I’d done with the measurement process, I can use the same receivers with different transmitters for production work. One of the nice things about the HMa plugon transmitters is that they can be used as a handheld transmitter once you swap out the omni measurement mic for a cardioid dynamic or condenser mic. Certainly won’t roll off the table! My first attempt at multi language support for this website was based on a wordpress plugin that requires a fee after the trial period. It is not out of the question to pay for a translation service but if a fee can be avoided, why not. So I read some reviews of various paid and free wordpress plugins and decided to try one that simply relies on Google Translate to do the translation work. Unlike the previous plugin which created a new website for each chosen language, the google translate plugin just translates the whole website AS IS in place. There may be a downside to this approach but at this point I can’t think of one so. I’m curious to see how it works for visitors in other languages. Give it a try and let me know what you think! If you want to add multi language support to your wordpress website via the Google Translate plugin, this link explains how. 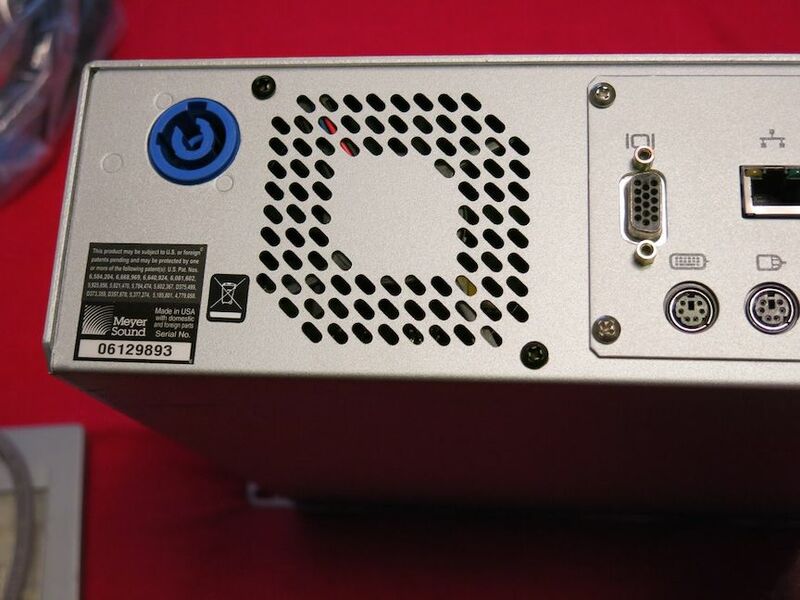 Dave Rat recently revealed a new 30″ subwoofer design based around the Powersoft M-Force moving magnet linear motor driver.The M-Force driver is fundamentally different than previous driver technology. 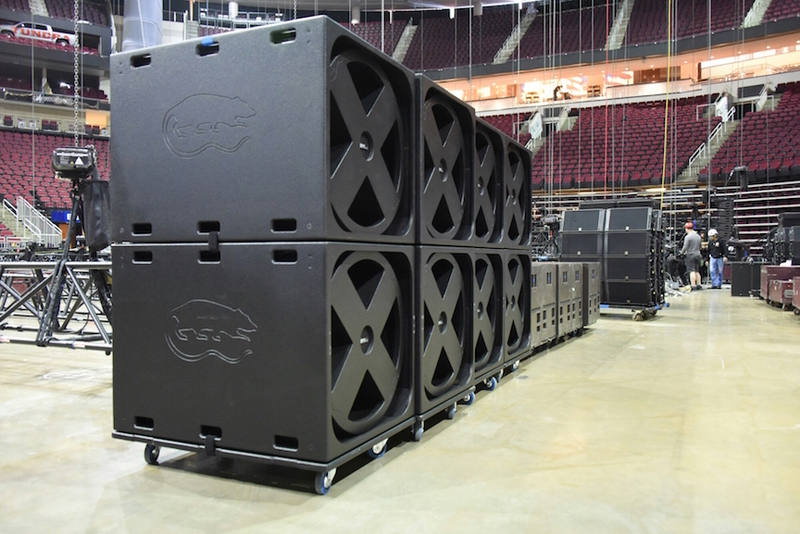 Should be a game changer in the high SPL concert sound arena. 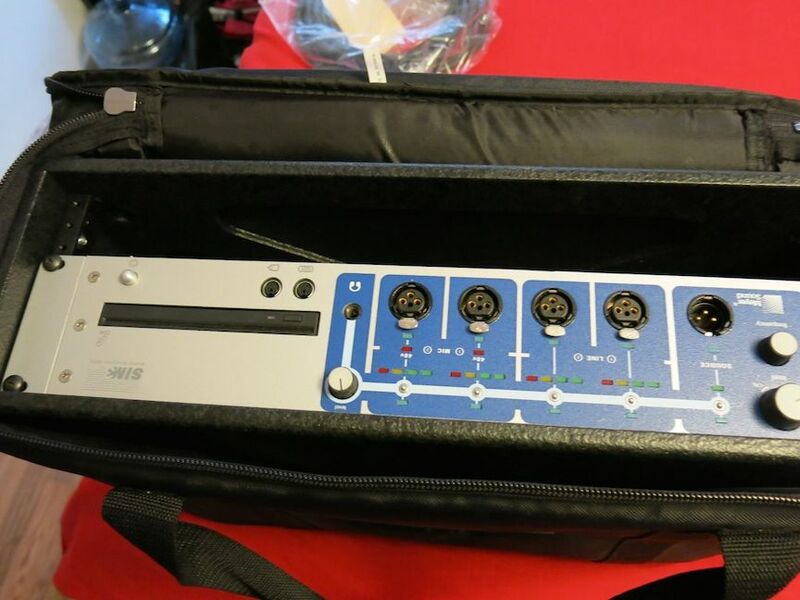 Interested in owning some SDS30 yourself? During a recent exchange between myself and Fedel de Marco about our measurement related websites, I realized that there might be way via a wordpress plugin to have translations of our sites created automatically. I’ve been copying text from his website and pasting it into google translate manually to be able to read his Italian blog paragraph by paragraph. Via the trial version of the weglot translation plugin (limited to one language & 2000 words), I was able to create a mirror website in Italian in a matter of a few minutes with very little effort on my part. To access the Italian version of the site you can either select it at the bottom of any page of the English version or you can access it directly with this link. Note that due to the 2000 word limit of the trial version of the plugin, very little of the website is being translated into Italian. From what I can tell, the home page is. Not sure what else. If you are interested in accessing the AM website in a different language, let me know which one. 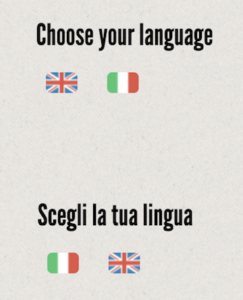 I assume I can shut off the Italian version and add support for a different language without cost to test how well it works for someone. There is a cost involved if I decide to support multiple languages so I’m going to take it slow in implementing other languages until I understand how it works and how much interest there is and how many languages I would need to support. It is not out of the question for me to fund multi language support myself. Here are the various costs involved. I may already have enough words on the AM website to be forced to move to a professional weglot account. Here is the various levels with pricing. For anyone interested in building a measurement rig and getting their feet wet, Rational Acoustic’s Smaart DI has been a good place to start. Picture Smaart for teenagers. Purposely simplified to make the process quick and easy. Rational Acoustics has just announced that Smaart Di2 will be released on January 24th, 2017. This is what the website has to say about Smaart Di2. Once Smaart Di2 is released, I would recommend anyone that doesn’t already have a measurement app, download the appropriate demo here and take it for a drive. If you have questions on how to set it up or take measurements, contact me. Meet Fedele de Marco. 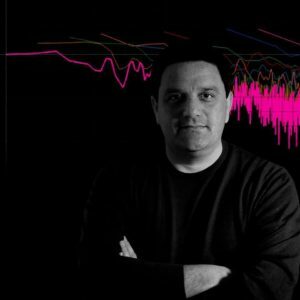 Below are links to his facebook page, facebook videos, Youtube videos and his website where he shares his perspective on FFT Analyzers, Design, Testing and Calibration of sound reinforcement systems. I recently configured this website so that posts I add to here also appear on Facebook. I hadn’t thought much about the implications of doing this but one of them is that where as before I would make an initial post and then refine it / edit / add content / etc…, now whatever I initially post is somewhat written in stone on Facebook. Consequently I have stopped posting out of fear for not wanting to post before the information is ready. For example, I have some posts that are in the works but not public yet. Once I am through with my work load for the holiday season, I will catch up and figure out how to have Facebook involved without it hindering the creative process. Thank you for your patience. 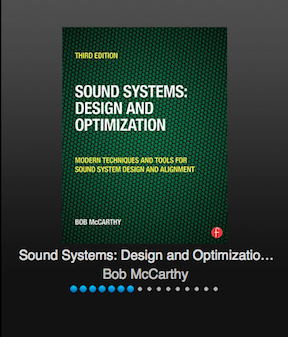 My introduction to combining speakers properly came from reading Bob McCarthy’s book “Sound Systems – Design & Optimization” but it was during his SIM3 class when he demonstrated the approach that I clearly understood. On paper the concept seems rather simple. 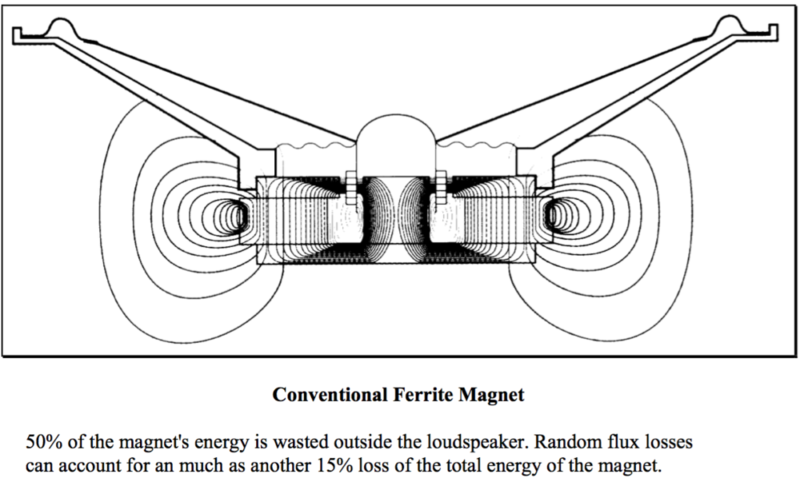 Combine speakers at their -6dB point and they sum back to 0dB. I’ll add that speaker directionality is a moving target. Here is an example of what I am talking about. A directional plot for a QSC AD-S12. 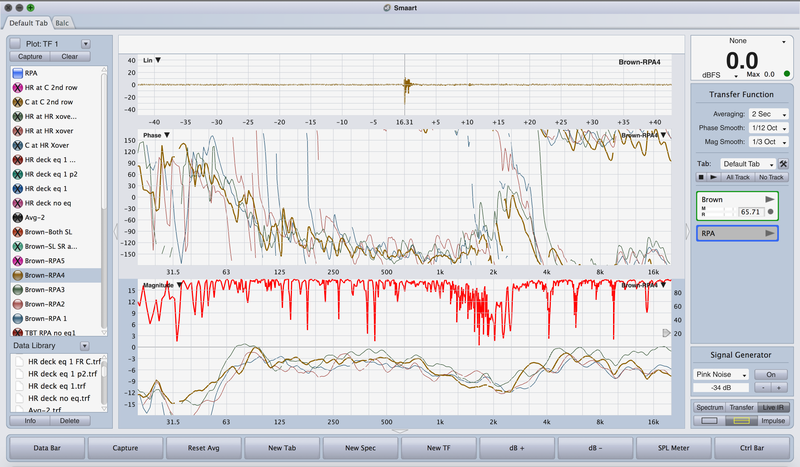 Pay attention to the red part which represents odB and where the yellow starts which represents -6dB. Between 2k and 15k, this speaker is rather consistent in directionality but it is by no means linear. At the two extremes, the cabinet is omni directional below 100 (not shown) and coverage begins to narrows above 8k. Where is -6db. I would take Bob’s suggestion and choose around 2k for this cabinet. 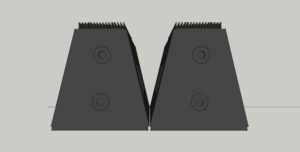 The result of a 0 degree splay is broad band comb filtering, something to methodically avoid. You’d be better off unplugging one of them. 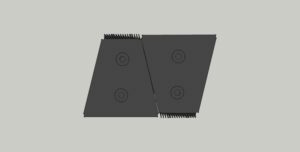 soundonsound.com – What Exactly is Comb Filtering? Believer it or not, 180 degree splay between two cabinets would sound better than a 0 degree splay. In this case you would have no high frequency combing and extra in the low end. If it were me, I’d still unplug the one facing the wrong way. 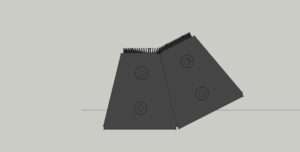 In some special cases the sides of a speaker cabinet do indicate the correct splay angle but in general the side angles of a trapezoidal box do not indicate the proper splay angle so it’s not an assumption we want to make. 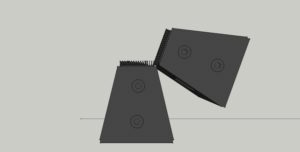 As a starting point for discussing proper splay, I chose the Meyer UPA as a point of reference because it was the first trapezoidal cabinet. 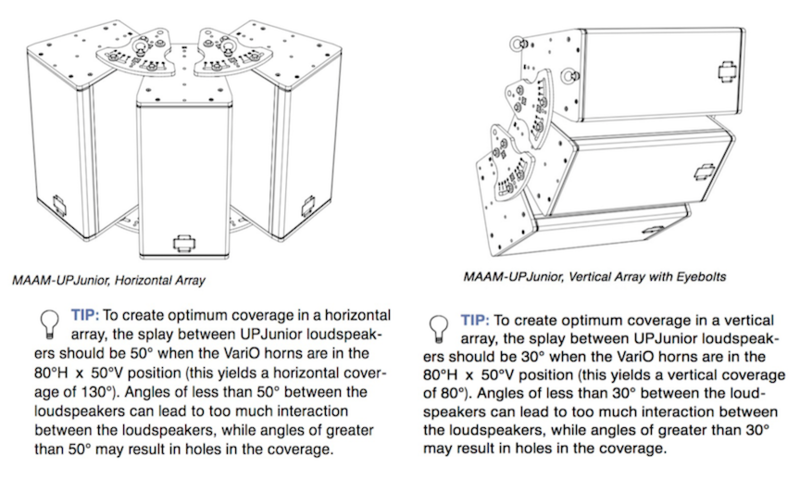 The UPA-1P & UPA-2P share the same cabinet dimensions but use a different horn, have different coverage patterns and require different splay angles for proper combining. 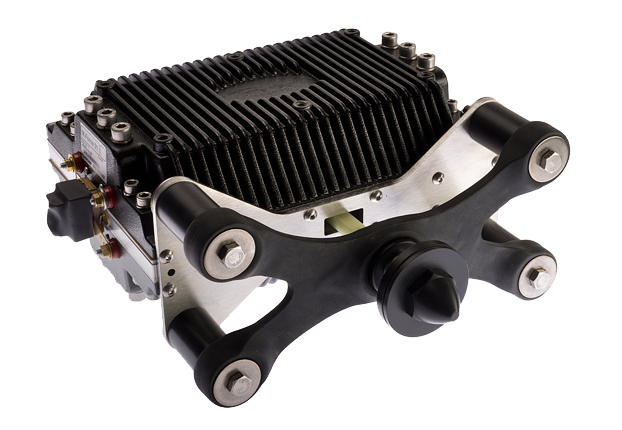 The UPA-1P has a coverage patter of 100 degrees horizontal x 50 degrees vertical (-6dB). 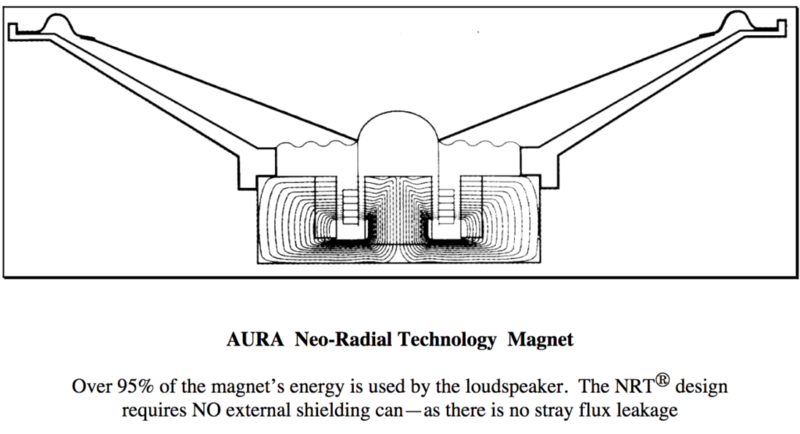 The UPA-2P has a coverage pattern of 50 degree horizontal x 50 degree vertical (-6dB). Because the sides of a UPA-2P indicate the proper splay angle, you can place them with their sides touching in what Meyer calls a “tight pack”. With a UPA-1P, there has to be a gap at the front of the cabinets. This PDF article explains how to properly combine a pair of UPA-1P. Seems simple enough but in the following PDF, Meyer states that the same cabinets can be splayed 85 degrees apart. What is the catch? 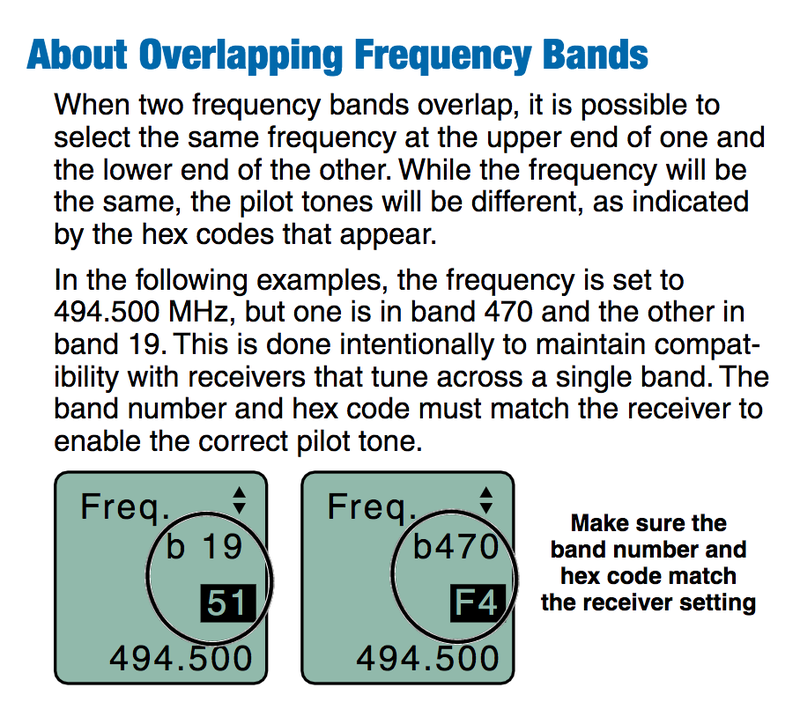 You sacrifice a linear frequency response for more coverage. This suggests that while there is a correct splay angle for proper combining, there is some wiggle room. increasing on-axis power and creating smooth transitions between the coverage areas of adjacent speakers. Before we move on, it’s important to recognize that some cabinets have a rotatable horn. In those cases, obviously we need to verify the orientation of each horns in order to properly combine them and if necessary we may need to rotate them for our purposes (more vertical coverage or more horizontal coverage). A Meyer UPJunior has a rotatable 80 x 50 horn. As you can see by now, Meyer Sound goes out of their way to make sure their users have the information they need to make good decisions. This is not true of most speaker manufacturers. In fact I can think of only one other company that might provide those details as part of their product literature. What this means is that for most speakers, you will have to figure it out for yourself. The first thing to do is to find the spec sheet for the speakers you will be combining so that you know what the stated horizontal and vertical coverage pattern is. From there you can either make your decision based on rules of thumb or use your measurement rig to find the proper splay angles. A KW122 has a 75×75 degree horn. What QSC called Asymetric 75 degree. If you want to combine two KW122, a good starting point is 1/2 of the stated coverage pattern. In this case each KW122 is worth 75 degrees of coverage and combing two cabinets side by side would suggest a splay of 37.5 degrees apart. What if the cabinets you have to work with don’t have a make and model shown (possibly home made) and your time is running out? This is where having a measurement rig is helpful. 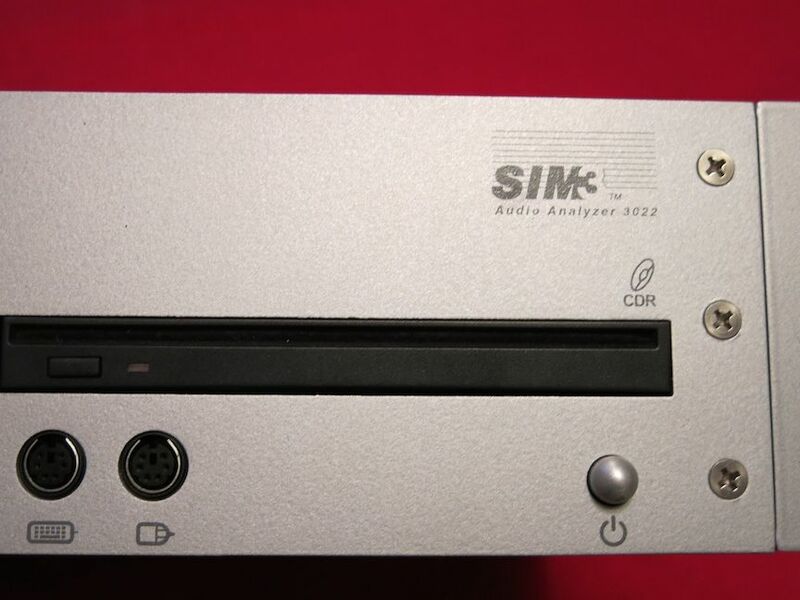 You would establish a base level and frequency response on axis (ONAX) of one of the speakers and then move the mic in an arc or better yet, leave the mic in place and rotate the speaker until you find the -6db point @ 2k. 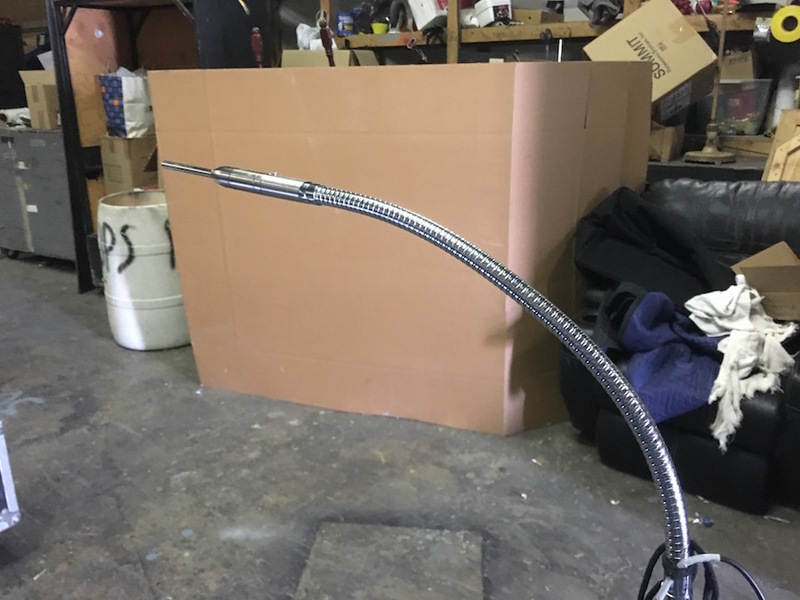 This experiment would indicate an approximate splay angle. 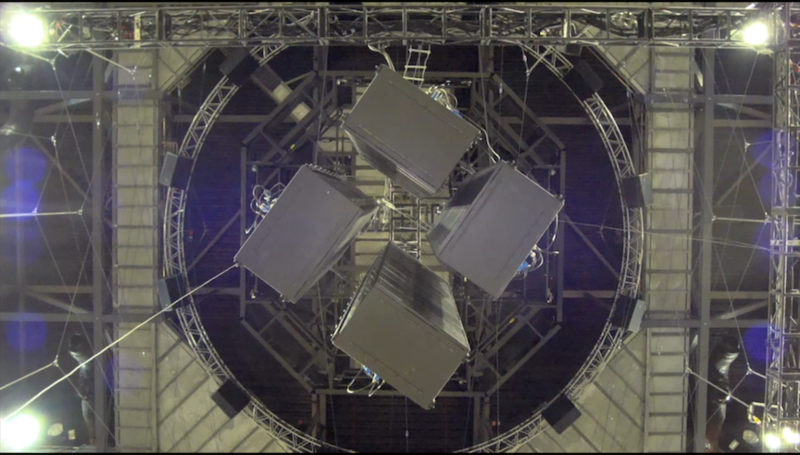 If the -6db point was 25 degrees off axis @ 2k, you would need roughly 50 degrees of splay between the center of two of those speakers to combine them properly. Note that some of the posts on that thread come from widely respected individuals in the industry. “It depends” could be the stated consensus. Distilling what I read, let’s go with this. 1. Ask the manufacturer for guidance. If anyone has a vested interest in making sure their speakers are used together properly it will be the manufacturer. 2. Use the stated coverage pattern of the cabinets as a starting point and adjust as necessary. If the manufacturer states how to properly combine their speakers, that is where I would start. I would verify that their stated method approximates the process previously described. If the manufacture doesn’t provide any information regarding combining their speakers (typical), I would ask them for guidance. If they can offer none, do the measurements and figure it out for yourself. Then share your findings publicly. Ignorance is NOT bliss and with a measurement rig, you can stop being ignorant and stop relying on the opinions of others. Once you have learned for yourself the proper splay angle for a given speaker cabinet combination, you will be on your way to better sound and the confidence it takes to make good decisions about combining speakers in general. I just stumbled across SpectraPLUS by Pioneer Hill Software. 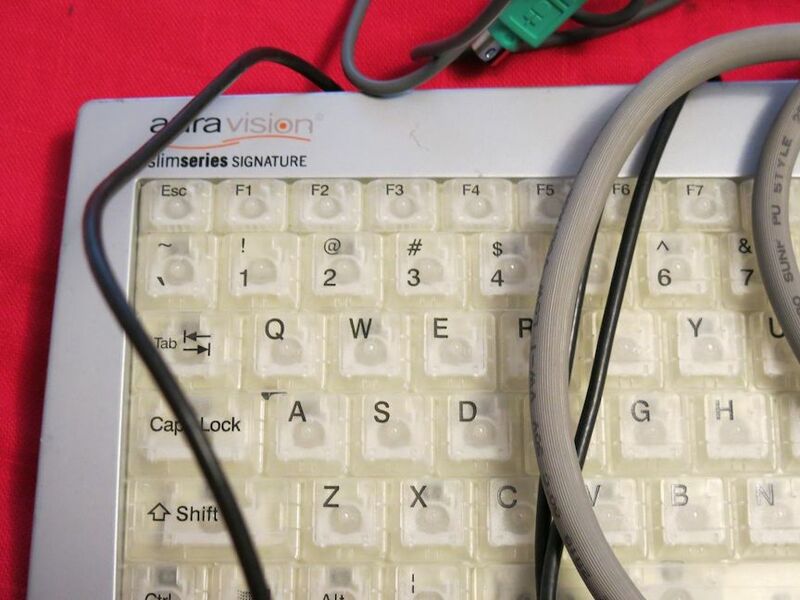 The PC based application seems to be in use by various industries. Note that there are (3) versions of the software and each one is available as a 30 day unlimited functional demo. 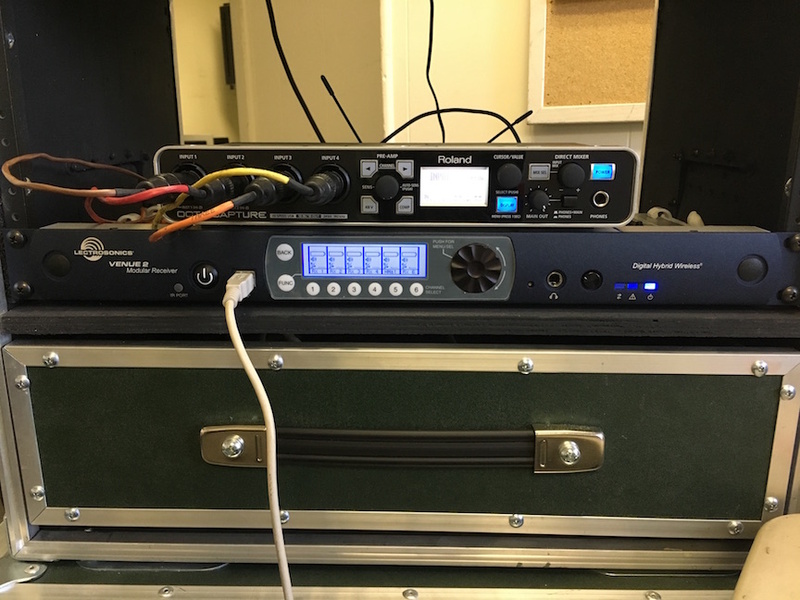 This past week I was able to install a miniDSP 2×4 balanced dsp unit in a rack that powers a 2 speaker rehearsal sound system for the ballet company I work with. The device worked out perfectly. Right price, right size. In order to use the device you have to choose and purchase a plugin. While the 2×4 Advanced plugin did what I needed to do, the user interface could use some refinement. 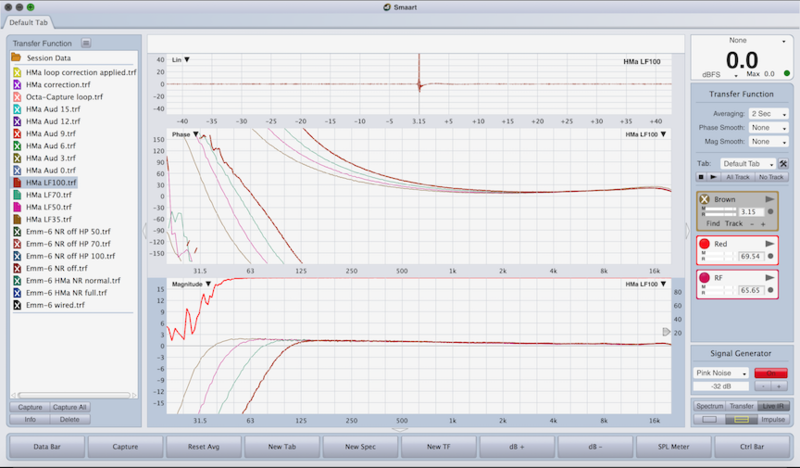 Here is a Smaart 8 trace showing the response of the left speaker before and after processing with the minidsp device. I eqed each zone for a relatively flat response via the input EQ and then after combining them made a small low mid cut to both. I’ve used 1/3 octave smoothing on the first trace to make it clear what is what. Brown is pre eq, green is post eq. 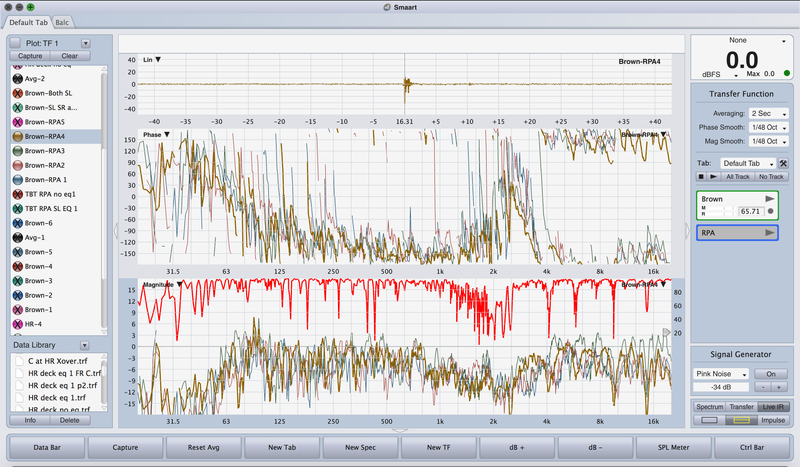 Note the coherence issue (red) between 1k and 2k. Once I measured the system with both speakers eq-ed as show above, I added one more filter in the output section of the miniDSP plugin to balance out the LF. 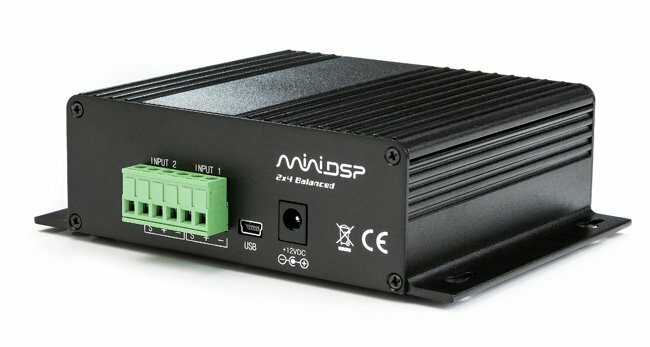 I may replace the power amp in the rack with an amp that has built in DSP soon and if so, I won’t need the miniDSP 2×4 balanced device for that purpose any more and can use it for something else like tuning my studio monitors. Neat device! 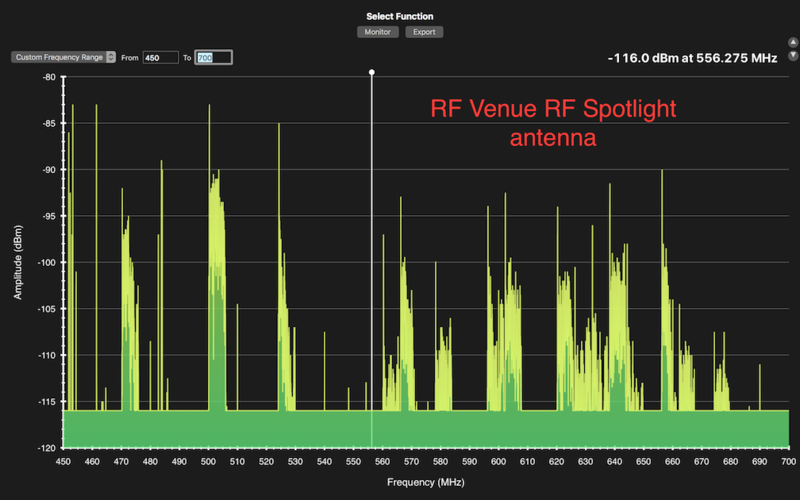 The next link below will take you to a webpage where you can watch a demonstration comparing a RF Venue CP Beam directional antenna with an RF Spotlight. Very impressive. My initial tests are very promising. 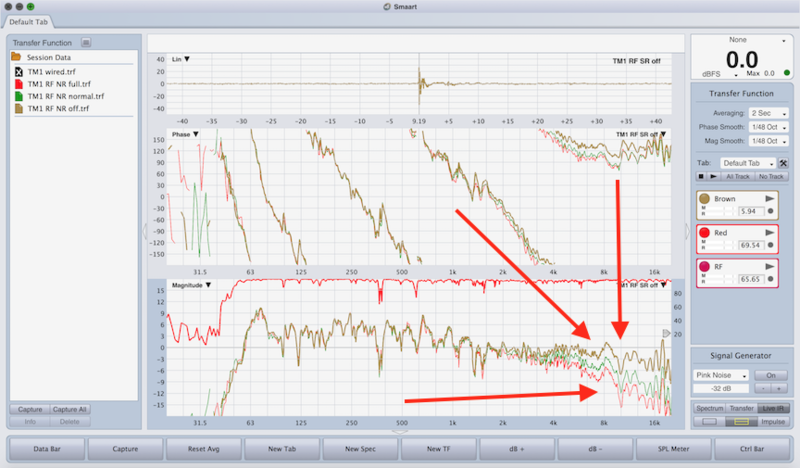 The following images were created using a RF Explorer hand held RF scanner with RF Venue’s VANTAGE scanning software for Mac. The first image is of the immediate RF environment using a whip antenna (like those provided with most wireless mics and in ear monitors). The second image is the substituted RF Spotlight antenna. Notice the drop in almost all levels and a significant drop in general noise floor. 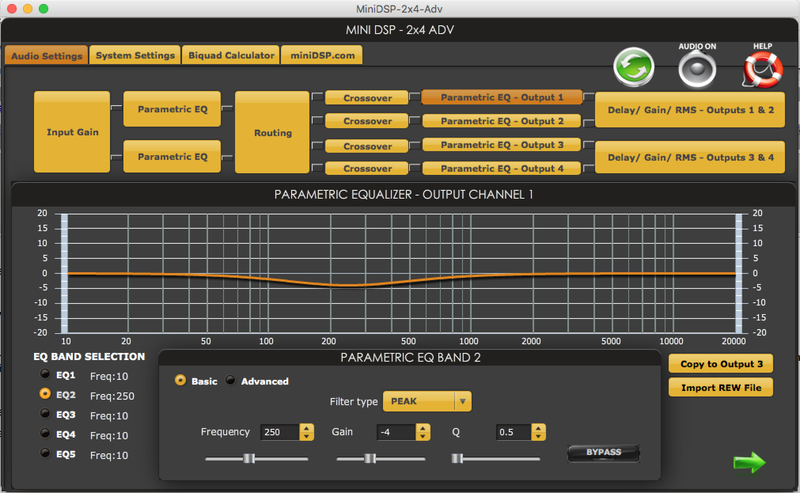 I have been looking for a small dsp unit to use on some projects where space is a consideration and I finally decided on minidsp’s balanced 2×4 device. I recently got to play with the non balanced version of the same device (RCA inputs and outputs) but wanted the balanced version to interface with my other balanced equipment. Out of the box, the unit doesn’t actually do anything. 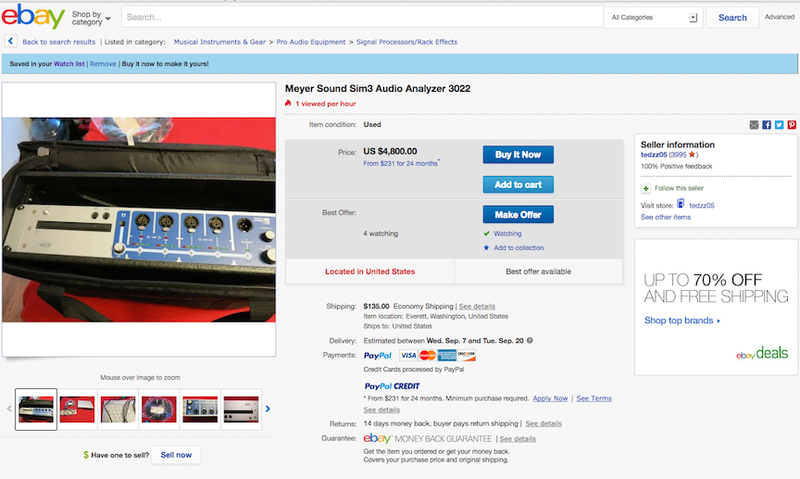 You have to purchase a “plugin” to give it a purpose. In my case, I selected minidsp’s most straight forward plugin, “2×4 Advanced” for $10. There are more elaborate plugins that can perform 4 way crossovers and such but I just needed some basic EQ out of the box. For a complete list of available plugins, this link explains them all. 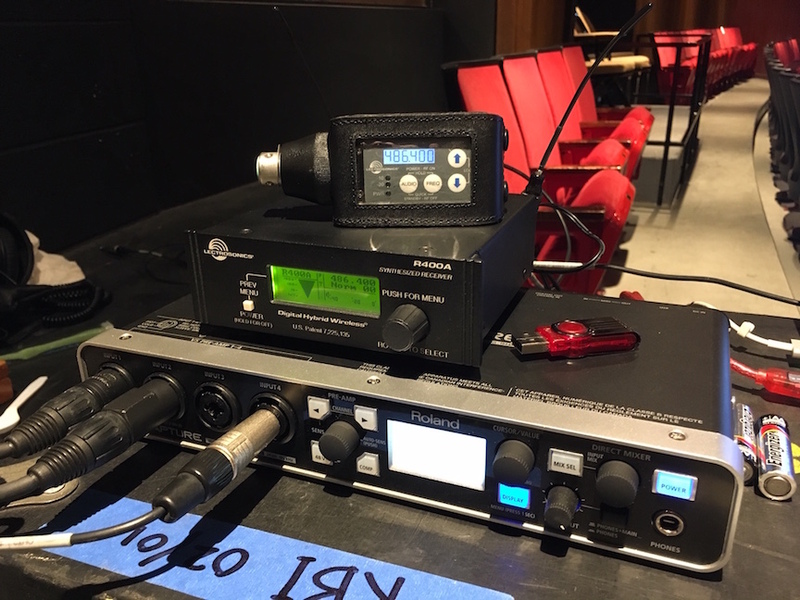 Today I visited the Montgomery Arts Theater at Booker T Washington High School in Dallas Texas to do a check up on their sound system before their upcoming production of “Oklahoma” begins the tech process. A few things that slowed the process down. 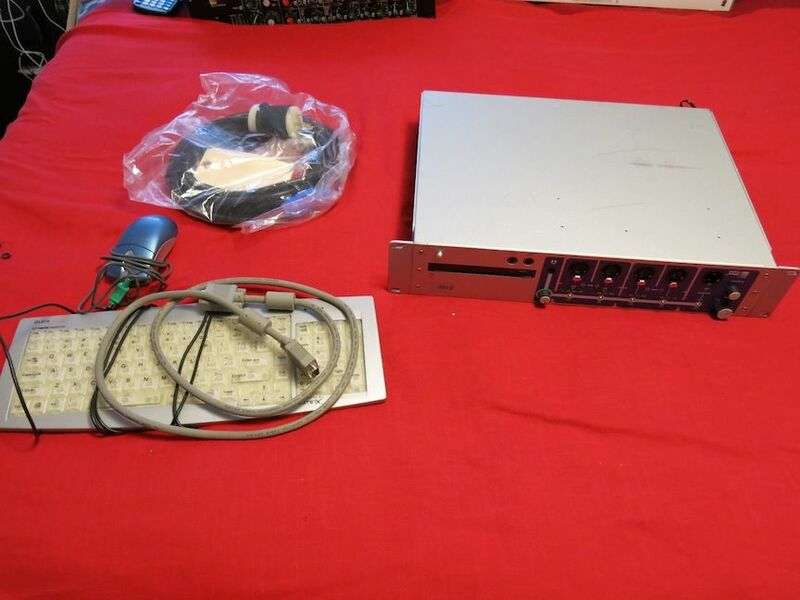 First, the dbx 4800 dsp is located in the amp rack on the 3rd floor of the theater and without a way of controlling it remotely, a lot of time was spent climbing stairs and ladders. Next time I would be extend the dbx 4800 network cable to FOH measurement position. Secondly, during the measurement process, it was discovered that the Main L / R speakers were out of polarity. How do you troubleshoot a connection that runs all over the building? Easy! You use Soundtools XLR Sniffer / Sender tester. What is known in the industry as a “Rat Sniffer”. 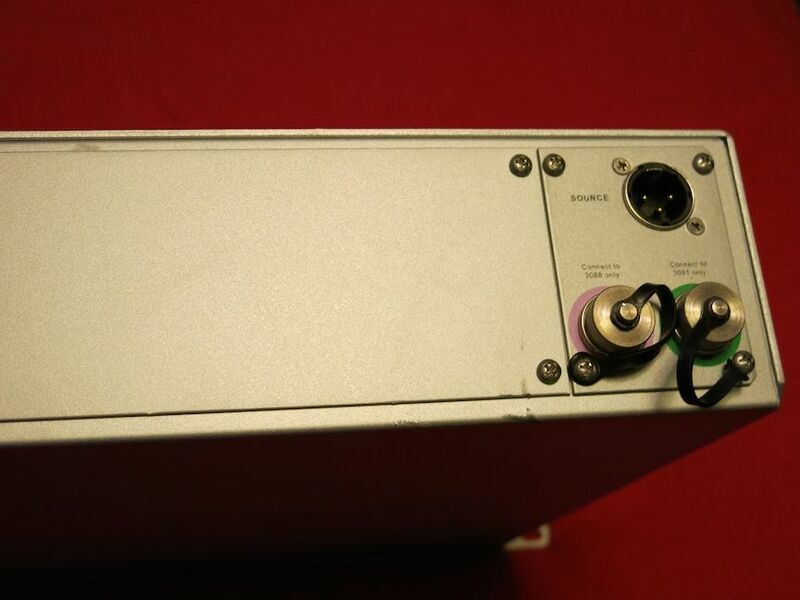 Unlike a normal cable tester box, the two parts of a Rat Sniffer / Sender kit can be used at any location all over the building. 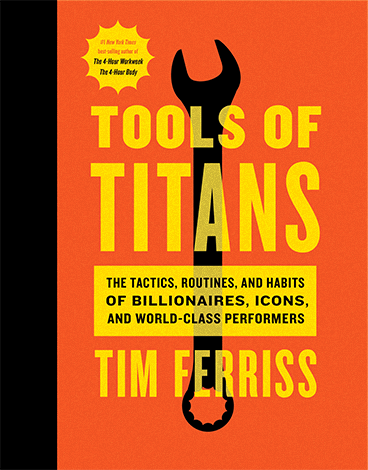 This is one of the 2 most important audio tools I use on a daily basis. Get one or more if you don’t have one already. 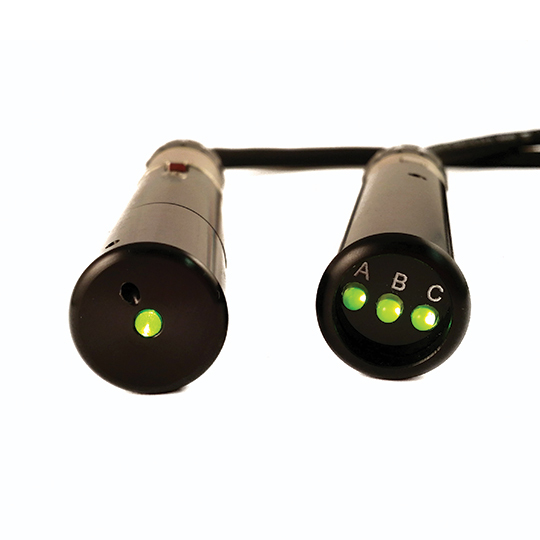 If you have more than one kit, you can troubleshoot multiple lines at the same time.